Scotland’s capital is a beautiful place to discover, where you can see medieval monuments, Georgian buildings, Gothic churches, and live and breathe that legendary Scottish culture. Wherever you want to go, and whatever you want to see, our array of hotels near Edinburgh will give you the perfect base to explore this UNESCO World Heritage site. The Mercure Edinburgh City Princes Street Hotel is located on one of the city’s main roads, just near Edinburgh Castle. 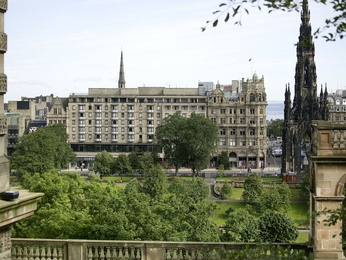 From this 3-star hotel, you’ll be within walking distance of all of Edinburgh’s main attractions, including St Giles’ Cathedral, the National Museum of Scotland and the University of Edinburgh. Guests will be treated to great views of the Castle, which is particularly spectacular at night, as well as complimentary Wi-Fi throughout the hotel and a personalised check-in service. 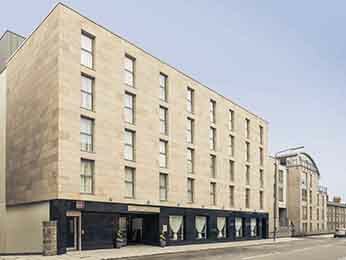 On the other side of the Castle is the Mercure Edinburgh Haymarket; just a few blocks from the Edinburgh International Conference Centre and the Fountain Park entertainment complex. The stylish rooms feature comfortable beds, Apple TVs, and Nespresso machines in selected upgraded suites. 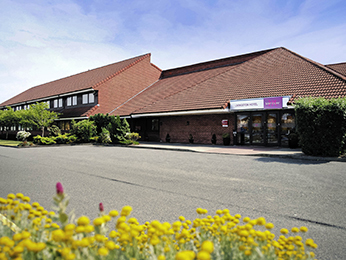 If you’d like to explore around the Edinburgh countryside, we also have two other Mercure hotels nearby – the Mercure Livingston Hotel is close to some of Scotland’s best country parks, and the Mercure Peebles Barony Castle Hotel, an incredible 17th century castle with 72 rooms and an award-winning hotel restaurant.